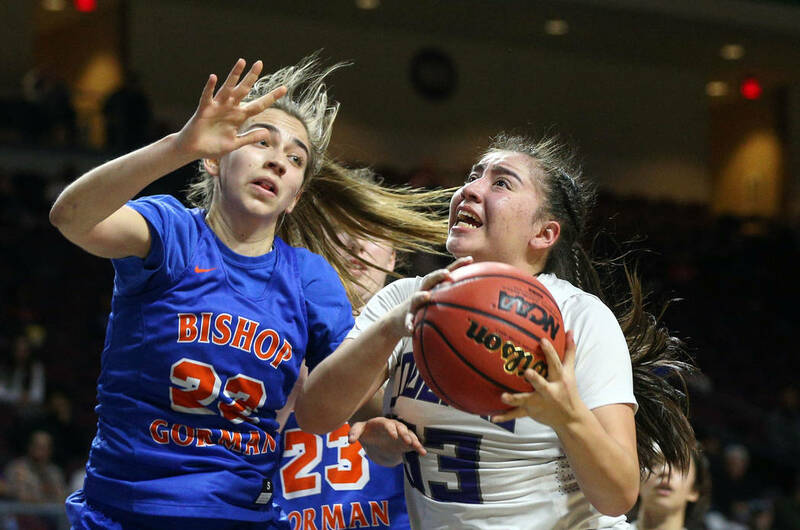 Bishop Gorman defeated Spanish Springs 54-38 and Centennial rolled past Desert Oasis 79-48 on Thursday in the semifinals of the Class 4A girls state basketball tournament at Orleans Arena. 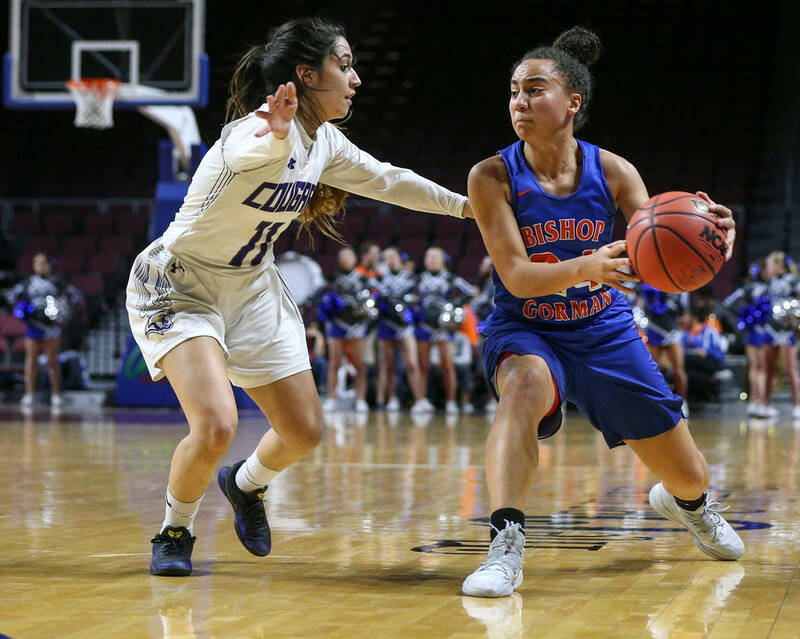 Bishop Gorman is playing for another state championship Friday. 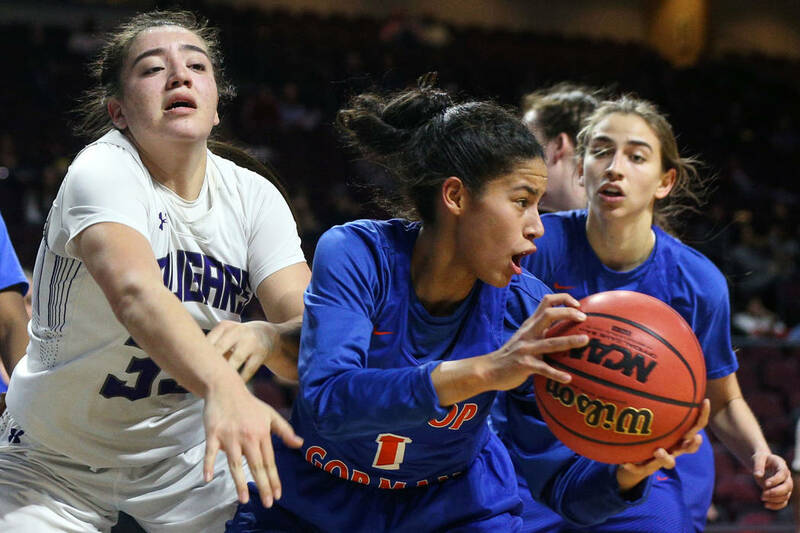 Gorman’s girls basketball team — one year removed from one of the worst seasons in the program’s recent history — controlled the pace and utilized an efficient transition offense to secure a 54-38 victory over Spanish Springs on Thursday night in the Class 4A state semifinals at Orleans Arena. 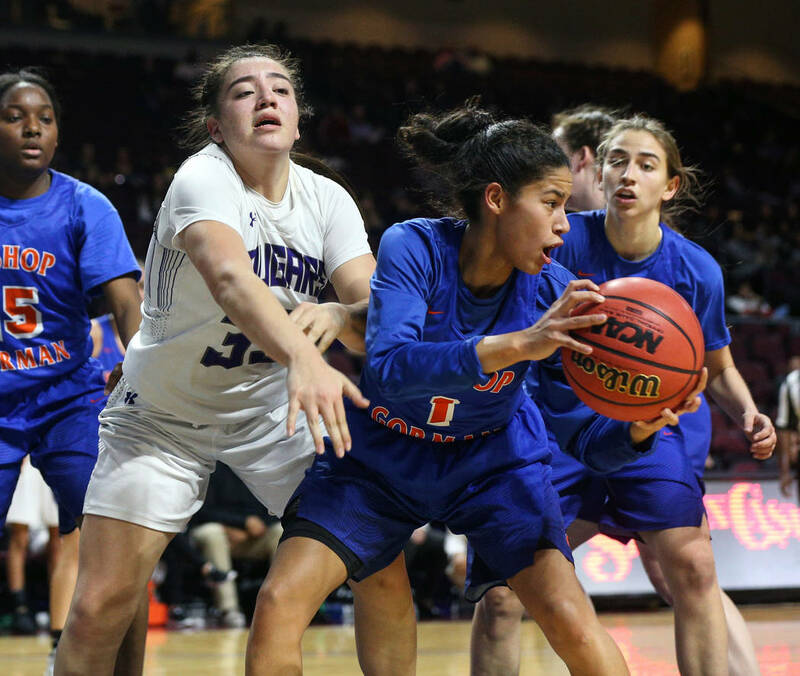 The Gaels, in their first state title game since 2015, will meet four-time defending state champion Centennial at 6:10 p.m. Friday at Orleans Arena. Gorman coach Kevin Nixon says he’s ready for the challenge. “It’s exciting. This is what we’ve been preparing the whole year for,” he said. 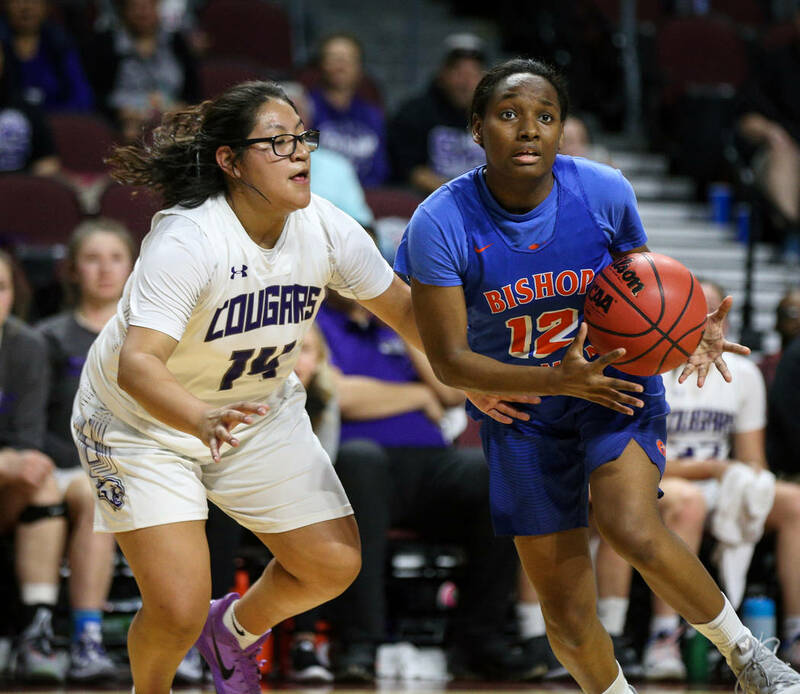 The Gaels, who finished 12-17 last season, have relied on an experienced group of upperclassmen to reverse their fortunes. 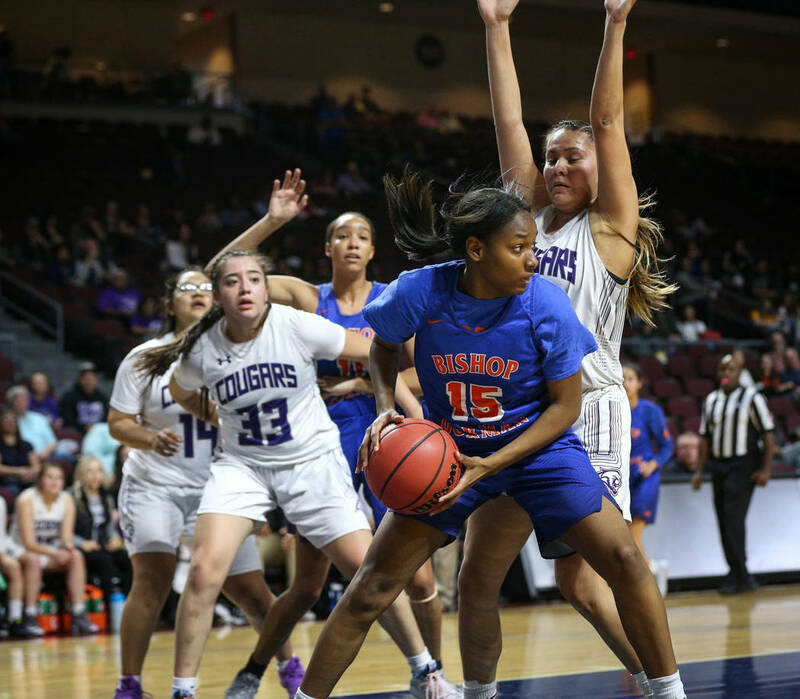 They finished second in the Southwest League in the regular season, but rolled through the Desert Region tournament, beating Desert Oasis in the championship game. 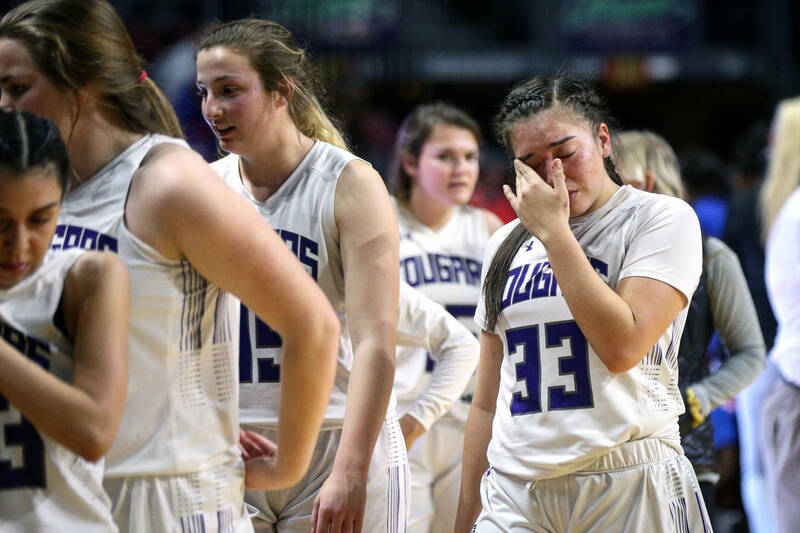 They demolished Canyon Springs with a stingy defense in the quarterfinals Wednesday and Spanish Springs with an up-tempo offense, turning 10 first-half turnovers into layups, open jumpers and a double-figure lead. 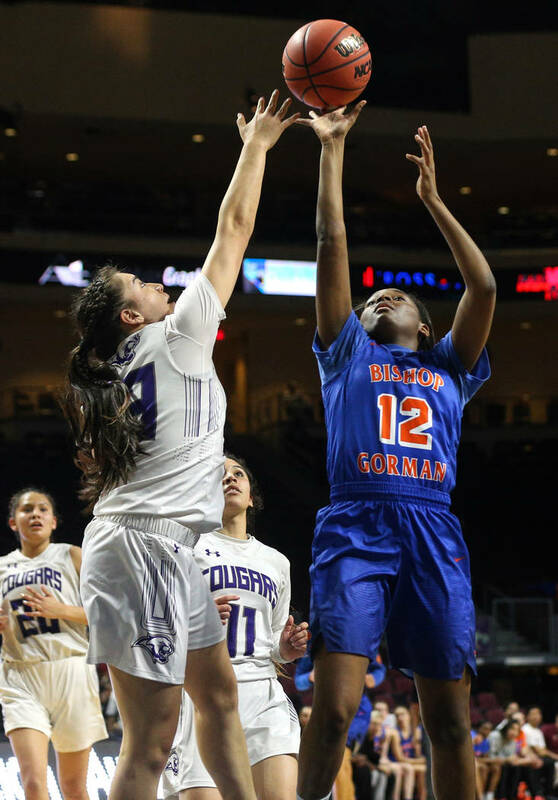 Senior guard Caira Young scored a team-high 16 points for Gorman (23-8). Georgia Ohiaeri and Olivia Smith added eight points apiece. Centennial recovered from an early 26-7 deficit and coasted in the second half to a 79-48 win over Desert Oasis. 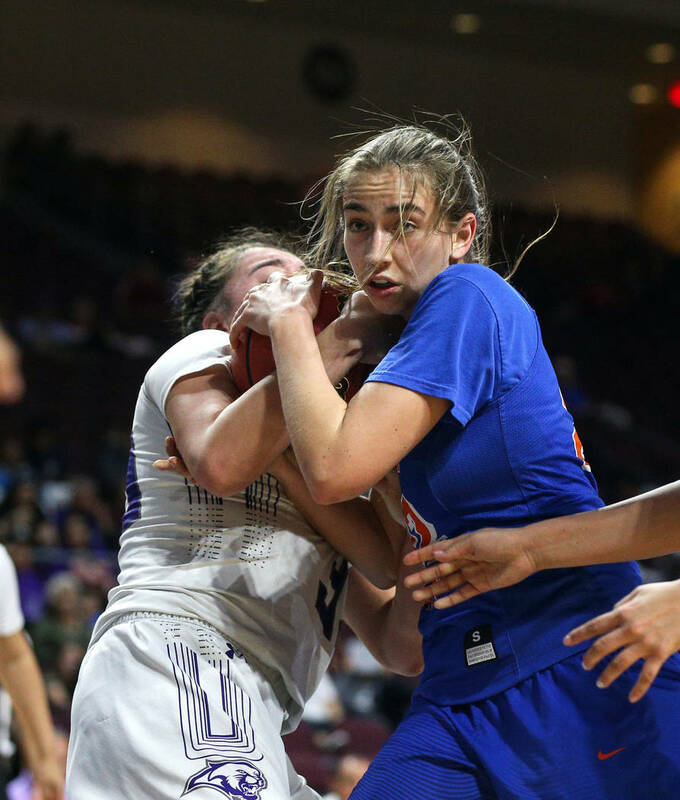 The Bulldogs (30-1) outscored the Diamondbacks by 50 points in the final three quarters to set up a rematch with the Gaels, whom they blew out 86-51 Monday in the Southern Nevada championship game. 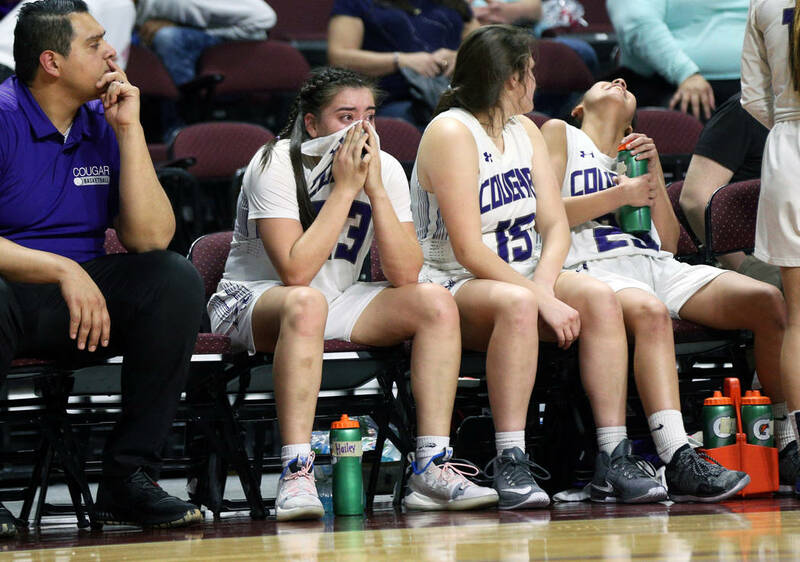 After taking the 19-point lead in the first quarter, Desert Oasis (21-6) succumbed to foul trouble, fatigue and the Bulldogs, who are ranked fourth nationally by USA Today. UNLV recruit Melanie Isbell made four 3-pointers in the third quarter en route to a game-high 15 points for Centennial. Fellow Rebels recruit Jade Thomas scored 13. Desi-Rae Young led the Diamondbacks with 13 points.